► Urban Orchard, has expanded to a second location featuring 30 taps and serving up an Old Europe vibe. 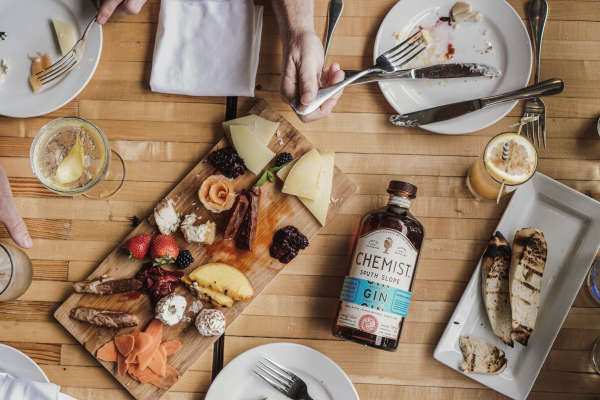 ► The Chemist is a South Slope gin distillery with a tasting room outfitted as a Prohibition-era apothecary. ► An adjoining cocktail bar, Antidote, offers pre-Prohibition cocktails, new drink classics and a small-plate menu. ► Recently celebrating five years, Ben’s Tune-Up is focusing on its special American saké, by hiring brewer Patrick Shearer, formerly of the famed Saké One in Portland, Ore., and opening a saké tasting room. ► Noble Cider plans to open a new bar and modern-American restaurant with a concept featuring craft cocktails that highlight locally-made cider, a charcoal oven that utilizes wood from the orchard and a menu featuring local beef fed apple mash from the cider-making process.